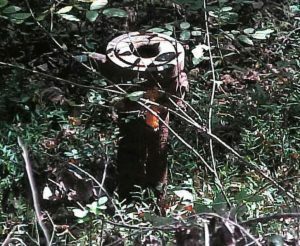 Oil and gas wells that have not been plugged at the end of their productive lives can become a nuisance to property owners. Unplugged wells can leak oil, gas, and brine onto a property, and can be a conduit for bacteria and septic runoff to enter your groundwater. These damages lower your property value, affect the health of your livestock, and cost you money. Currently, well operators are expected to plug the wells after their production has declined, but there is no enforcement and weak laws. These lax policies allow gas operators to go unnoticed when they slip into bankruptcy, effectively orphaning these wells. Currently there are 12,000 wells in West Virginia that have stop producing viable amounts. Of these, 4,600 are considered to be orphaned with no driller to plug. The Department of Environmental Protection’s Office of Natural Gas estimates that it takes about $65,000 to plug a well; in 2018 they plugged one well! In the same testimony the Office of Natural Gas plans on plugging 5 wells in 2019. “To make matters worse, the orphaned well crisis is exploding now because EQT and other major Marcellus Shale drillers are now trying to dump their responsibility to plug 17,000 more declining vertical oil and gas wells located on surface and mineral owners across the West Virginia. They are doing this by selling the wells to a company called Diversified or to its affiliates. For Diversified and its subsidiaries the “blanket” bond amounts about $70 per well.” says David McMahon, founder of West Virginia Surface Owners’ Rights Organization (WV SORO). Diversified is traded on the London Stock Exchange putting them far from the epicenter of action. In a recent disclosure to shareholders, Diversified highlighted that these wells would reach the end of the economic potential in 2048. By 2049, they will have 50,000 wells to plug across Appalachia. This equates to a cost of $3,250,000,000. WV SORO expects them to dissolve and orphan these wells. WV SORO has petitioned the DEP to deny the transfer of wells to Diversified from EQT. The DEP has unfortunately entered into a consent agreement outlining that Diversified will plug 310 wells of the 17,000 it owns within the next 15 years. WV SORO believes Diversified will exploit loopholes in the consent agreement, allowing them to avoid plugging these wells. Because of these loopholes, the West Virginia Legislature needs to enact legislation that would require “plugging assurance”. This would be in the form of a single well “plugging” bond or the deposit of money into an escrow account in the State Treasurer’s office while the well is still producing for future plugging. Plugging assurance needs to be required for any well transferred and for every new well. WV SORO will introduce its Orphan Well Prevention Act into this year’s session and push for its passage. West Virginia’s landowners cannot wait any longer. Create laws to require that gas and oil companies take responsibility for the costs of plugging their wells when they are no longer productive. It has to be a bond up front, equal to the likely cost of plugging. Otherwise, of COURSE they will abandon the wells and go bankrupt when there is no longer any profit to be gleaned from them–or hoped for, rather, as DeSmog Blog’s series shows that most of the drillers are in debt now, have spent more than they’ve made through the whole glorious period of hydrofracking–when the well stops producing, they likely will not have even paid what they owe to Wall Street, let alone have anything left over for cleanup. If they can’t afford to plug a well they should not be allowed to drill it. I expect everyone involved expects that they will just leave yet another dirty dangerous mess for taxpayers to clean up–or not. There are thousands of abandoned coal mines and conventional wells just left leaking, creating local hazards. We should be screaming about this.